A range of dopplers for vascular assessment. Lubricant, also useful as a cold transfer mechanism for Cryosurgery. Gel for use with vascular assessment dopplers. The UltraTec PD1cv is a small, lightweight, high sensitivity pocket doppler with fixed vascular probes. 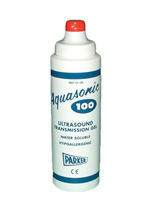 Perfectly suited as an entry level doppler for pressure index or routine vascular detection. With 8 Mhz Probe. The UltraTec PD1v is a small, lightweight, high sensitivity pocket doppler. 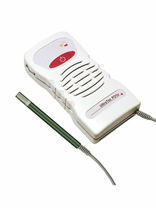 Its 8MHz vascular pencil probe is ideal for routine vascular examinations. With 8 Mhz Flat Probe.